Traditionally, basketball is played on a rectangular court, but the sizes of the courts differ depending on the type of basketball league using it. 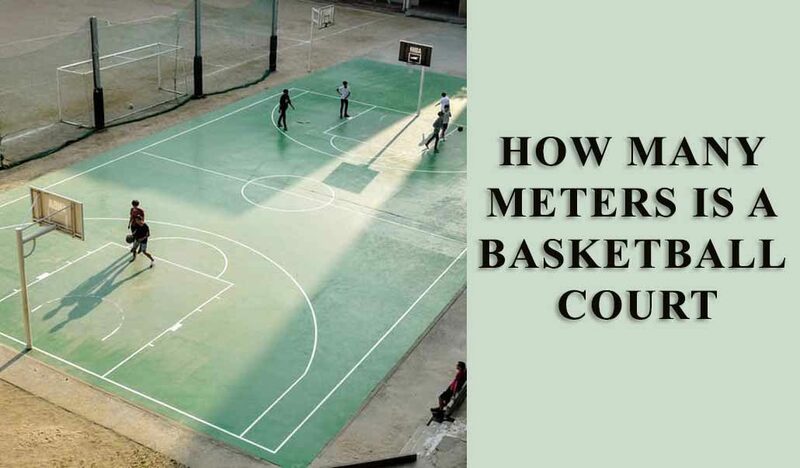 There is no universal answer to the question “How many meters is a basketball court?”. It all depends according to which assosciation. 28 meters length by 15 meters width from the inner edge of the boundary lines. The lines are white and 5 cm wide. The boundary line consists of the sidelines and endlines which are not part of the court. The free throw line has its furthest edge at 5.80 meters from the inner edge of the end line, and must be 3.60 meters long. The restricted areas are limited from the endlines and are extended free-throw lines which have their outer edges 2.45 meters from the endlines’ midpoint. 94 feet length from inside edge of boundary lines and 50 feet width from the inside edges of the boundary lines. A 2 inch wide free throw line is at 15 feet from the plane of the backboard. The boundary lines are part of the free throw lane. The lane space markings are 8×2 inches, and the neutral zone marks are 8×12 inches. There are parallel lines 3 feet from the sidelines which mark the three point field goal area of the court starting from the baseline and ending in an arc of 23 feet, 9 inches from the basket. All hash marks are 2 inches wide. It is rectangular with a length of 94 feet and a width of 50 feet measured from the inside edges of the boundary lines. The division line divides the court in two equal halves. The three point field goal is at 20 feet and 9 inches from the basket center. The height of the basketball rim though is at the same height as the NBA’s – 10 feet. The diameter of the rim is 18 inches. Of course, the different assosciations have different rules for the basketballs they use. We will cover these in another guide soon. For now, you may want to check our guides to the top indoor basketballs and top street basketballs.